The plants in outdoors don’t really need to be decamped until spring. Plants like Petunia and Pansy can be preserved and used for creating amazing festive flairs for the upcoming holiday season. The plant containers on your porch can be used as brilliant value addition when it is cold and quiet winter out there. To add the amazement, you can fill the containers with plants to fashion this area in an astonishing manner. The less you make efforts, the better it looks. During winter, to create a lovely backdrop in outdoors, you don’t really have to make extra hard efforts. There is no need to have more densely decorated plant containers on each sides of the front door. One or two vases are sufficient for this pretty task. Add Some Thriller, Filler andSpiller. Even though the available elements are different for winter, but you can use the same formula to mingle plants in the growing season. You can create thrillers using dogwood; and fillersusing dried pods, cones and flowers; and spillersfrom cascading components as evergreens. Simple Makeover from Holiday to Winter Decors. 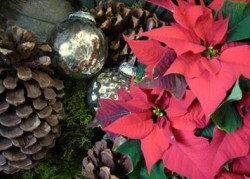 There are many materials that you could use for holiday as well as winter décor purpose. Some of these materials as evergreens, pine cones, etc. can be employed as holiday flairs, and also as a thing for the coming couple of months. Remove red bows and glass balls after the holiday season, and prepare the soil for planting pansies. To get more information on how holiday decors can be kept simple, you can contact us. We are one of the leading Garden Services in Denver, Colorado area. Seed pods, dried plants like yarrow, Echinacea, etc. It is that time of year, when not much options and varieties are available for gardening. But, there are many a things, provided by the nature, which you can use for reshaping and redesigning your plant containers. If you want it Done For You, at reasonable prices, Best Yard is the name to consider. Please fill up the form or simply give us a call @ 720-851-7550, and let us know your requirements.